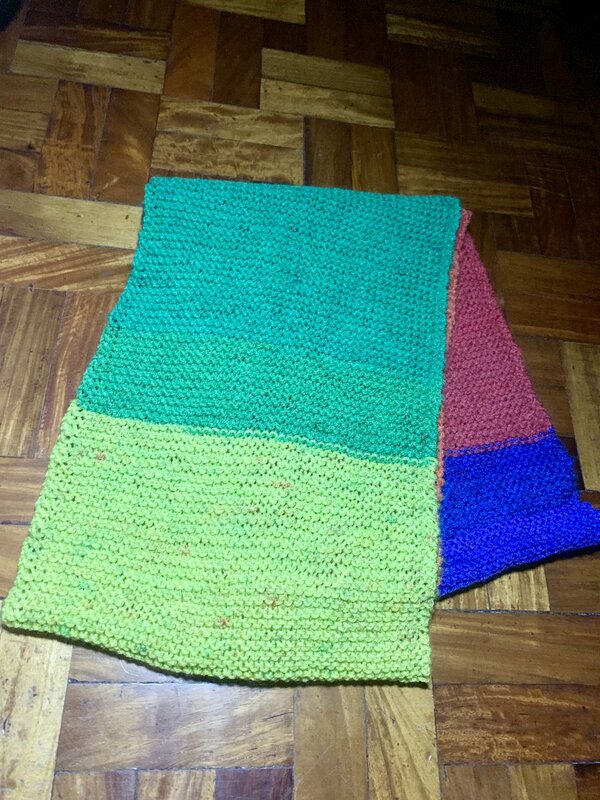 I knitted this rainbow scarf while attending conferences, at a coworking space, at a focus group discussion, and while reading books and listening to music at home. I am fond of unplugging from social media from time to time and just allow myself to knit. The handmade pastime keeps me busy as I process my thoughts on work, the challenges I am facing, and everything in between. I am straight, but I respect people of all genders. It is my hope that by knitting this rainbow scarf, I can continue embracing diversity and the colorful future that awaits me. The joy that knitting gives me is priceless. Having a hobby that keeps your hands busy will reward you with a better attention span, the best sparks of brilliance (I’ve experienced having creative ideas while knitting and crocheting! ), and a renewed appreciation for the simplicity of handmade. I hope that you will also discover the joys of knitting or any handmade hobby soon!